� Visit: "Christian Links for Christian Living" - my homepage dedicated to helping others. 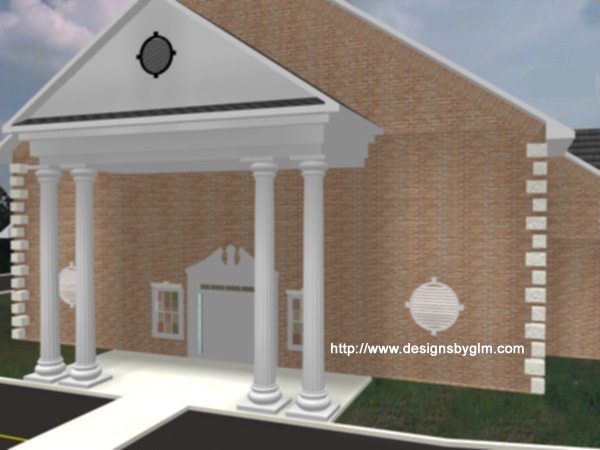 �Interested in How I Created the Renderings? I used a combination of Autocad with Softdesk to create the basic building, using extruded solids and the roof generator program, then I imported it into 3D Studio Max and added the textures and rendered it with an existing site background. Then I saved the rendering to a .jpg format and opened it up in Photoshop to touch up the photo.